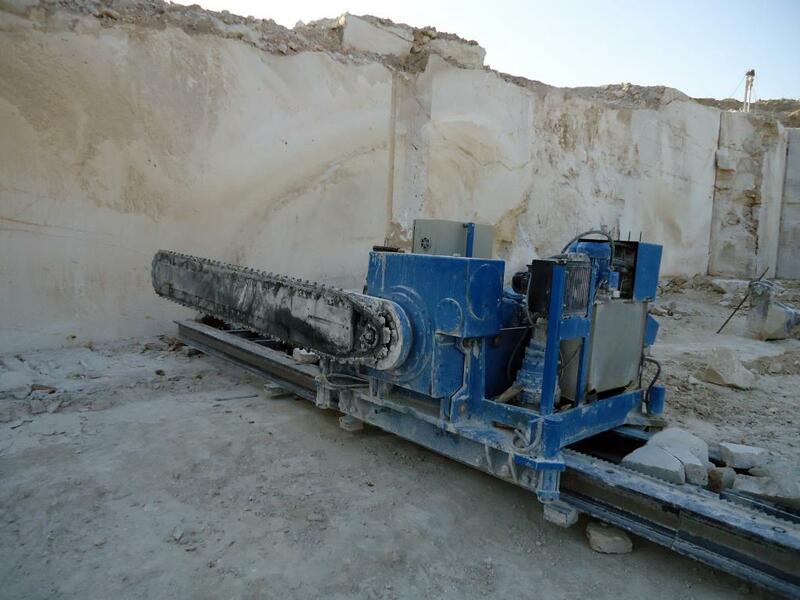 Chain saw cutting machine «Victoria» is meant for extraction of natural stone blocks in quarries. 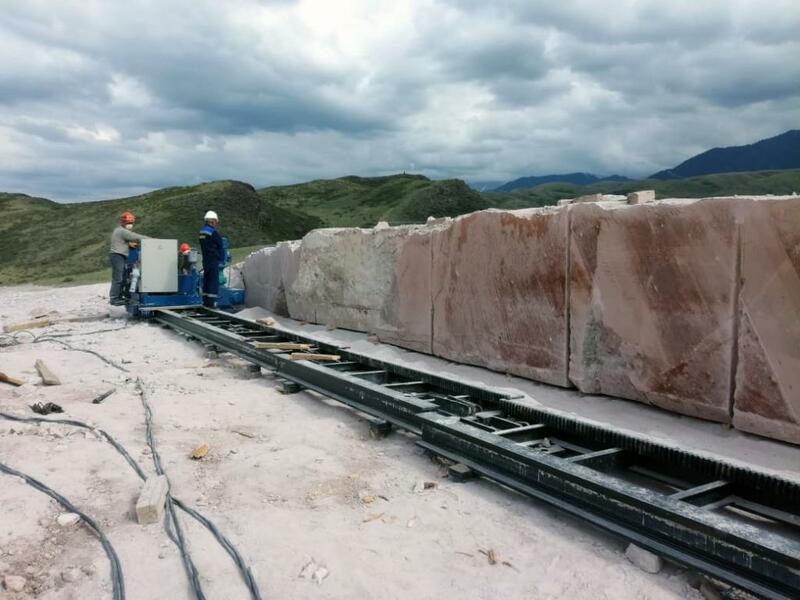 Compressive strength of extracted stone is up to 150 MPa. 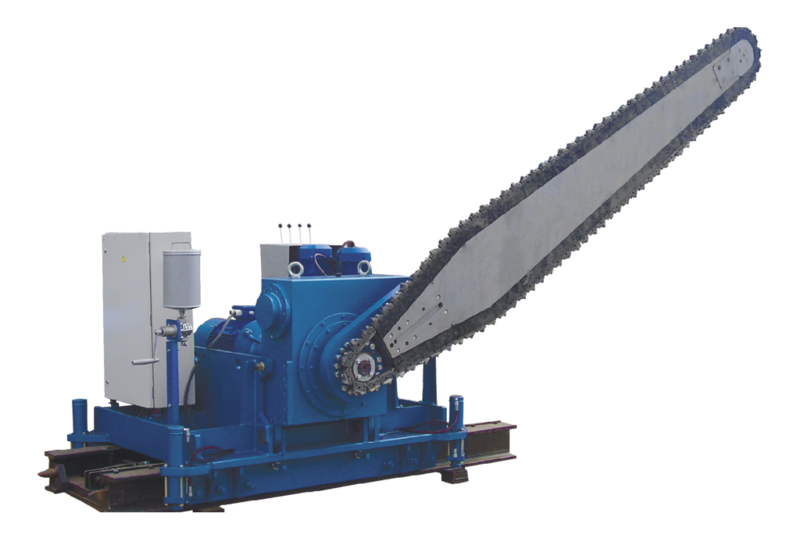 The work tool of this machine is a chain saw with hard-alloy plates. 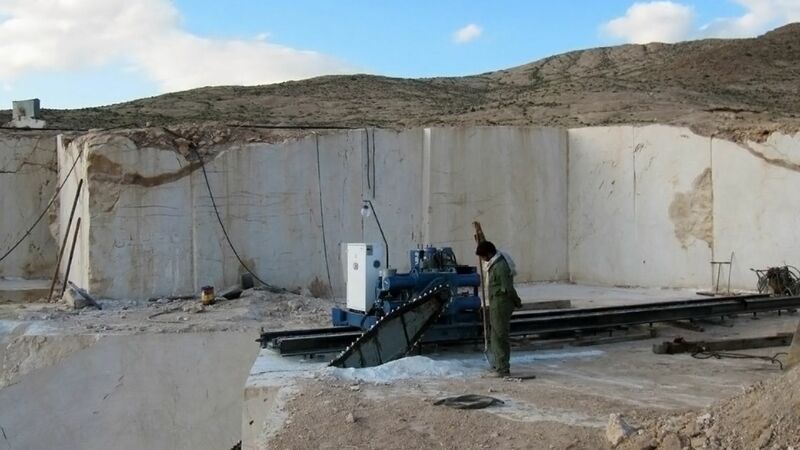 This machine is cross functional: it can make all kinds of cutting to separate out stone blocks from the solid mass (vertical, lengthwise, cross and horizontal cutting). 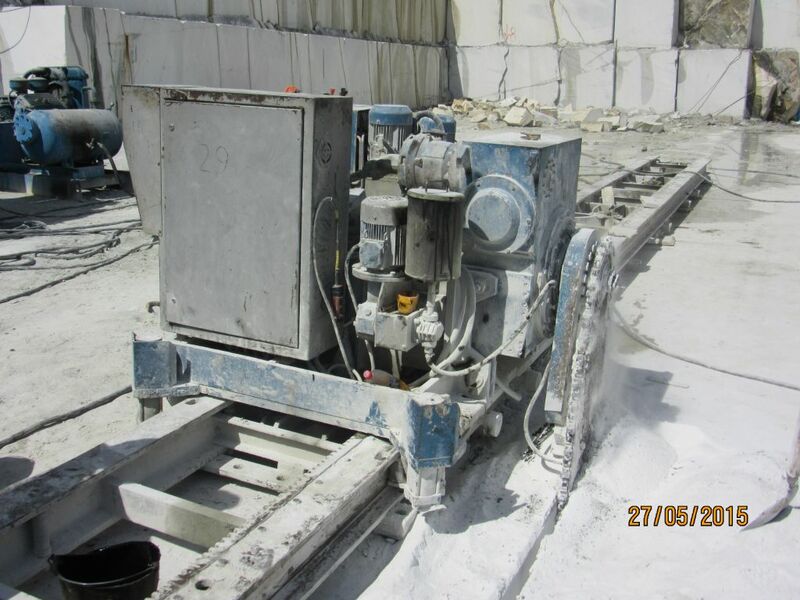 This machine could be equipped with 4 jacks for leveling the machine in the quarry. 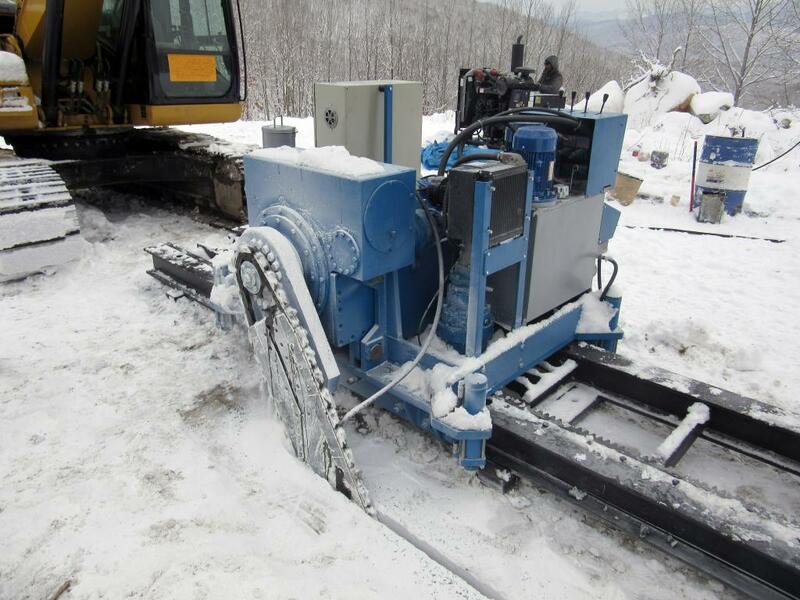 The hydraulic engine carries out the machine’s translocation along the guideways. 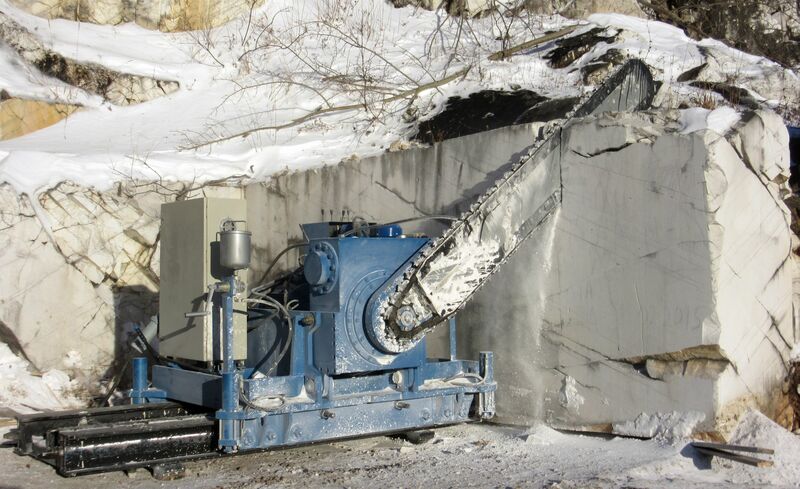 The extraction of natural stone blocks in quarry could be operated with two chain saw cutting machines simultaneously. The presence of a frequency converter on the main drive (on the previous models – 2-speed motor). When operating the chain saw machine with turning of the bar on 360 degrees is no need for rewiring arm bar in the translation machine with a horizontal cut on the vertical and vice versa, which increases the productivity of the machine. 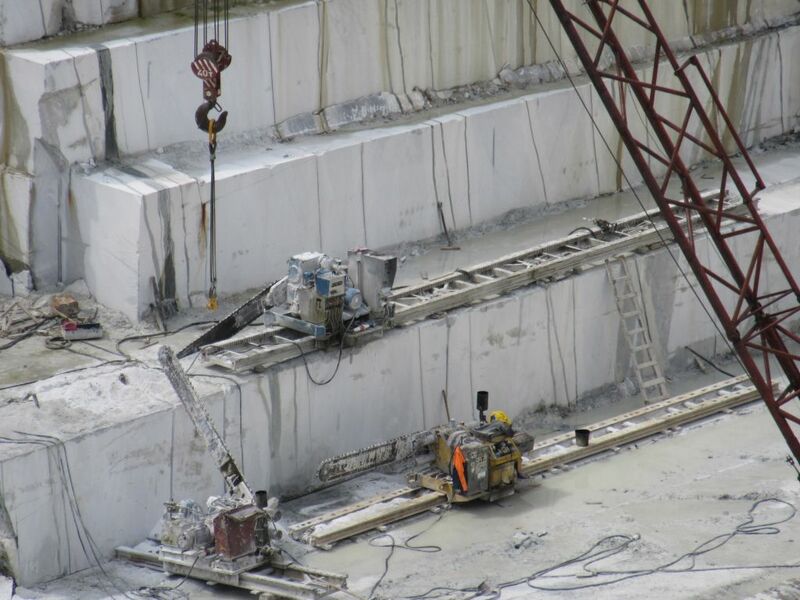 This contrast is particularly useful in the development of new quarries. 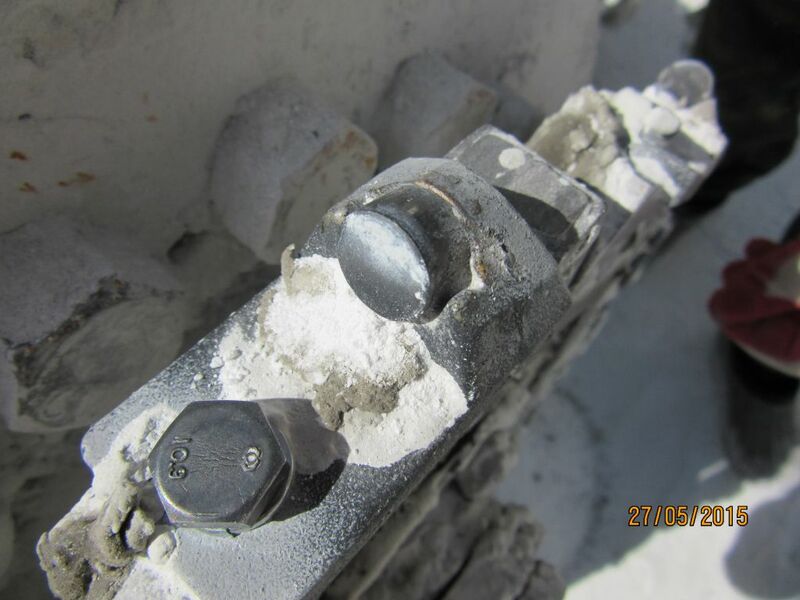 In addition, a more compact design of the drive heads on a new model that improves serviceability of the machine, especially when performing horizontal cuts. 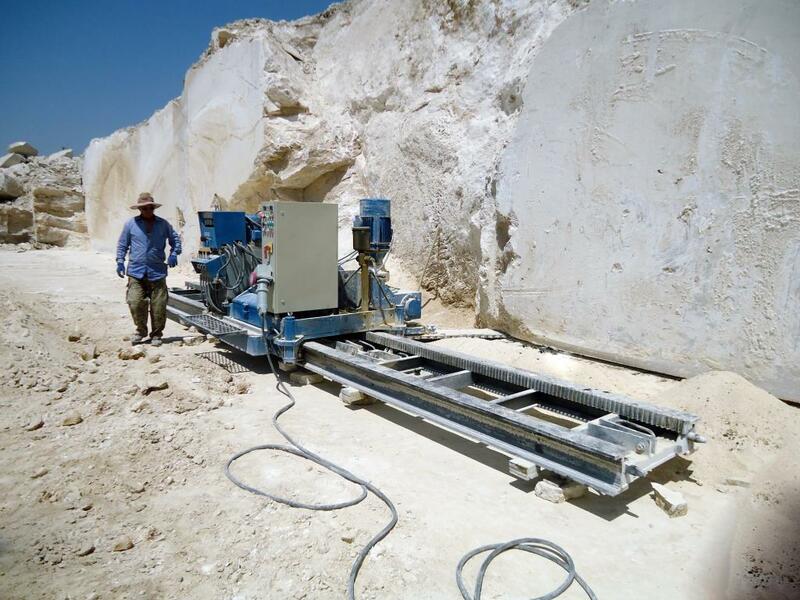 The presence of the inverter to control the linear speed of the circuit allows the optimal selection of cutting conditions at the sinking rocks with different physical and mechanical properties and geological conditions of the massive, which reduces the flow of hard alloy on about 10% and increase productivity of the machine to an average of 20%. 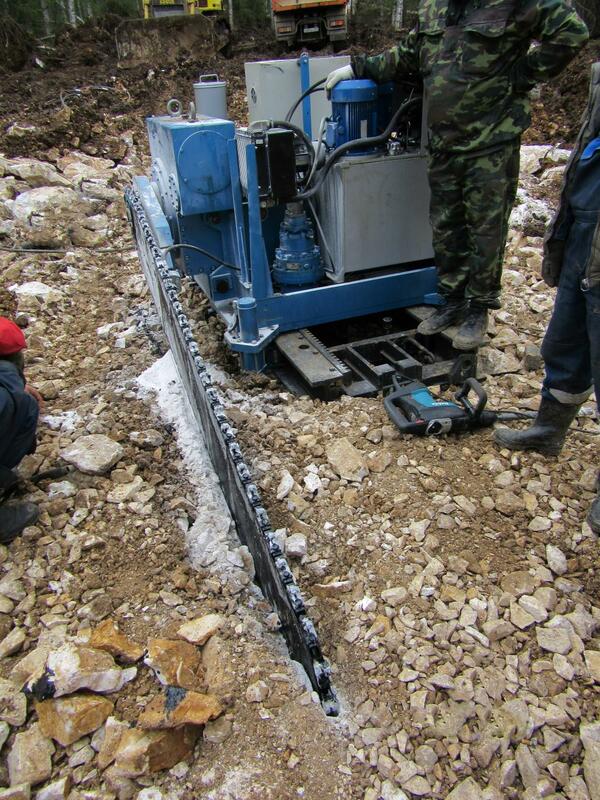 Cutting depth, up to 3.2 m.